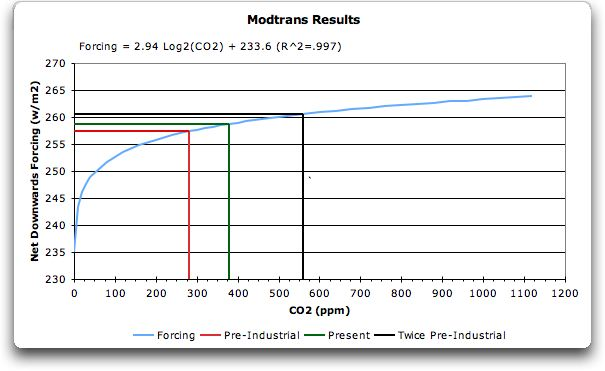 I have observed on a number of occasions (here, or here) that the basic science about CO2 is that its warming effect rapidly dissipates after a point. This is well know to everyone. And second, that the sun affects the climate FAR more than CO2, particularly at these high levels of CO2 concentration (had the levels of CO2 concentration been much lower, then CO2 increase of the sort we have seen in recent years would have definitely created very significant warming). The results are CLEAR beyond doubt even for the most committed fanatics of man-made global warming hypothesis. Two studies I cite below as illustration (although there are HUNDREDS of them that basically shred the AGW hypothesis). Let me note that I'm not flippant about such blog posts and that I do not rush to conclusions simply because of one or two studies I might have come across. I would be the first to be concerned about anything that can harm our future generations. Indeed, in BFN I have proposed a carbon tax system should it be proven that CO2 is actually dangerous to mankind. But no matter how hard I look I can't find ANY evidence to be concerned about, leave alone alarmed. Global greenhouse gas emissions have risen even faster during the past decade than predicted by the United Nations Intergovernmental Panel on Climate Change (IPCC) and other international agencies. 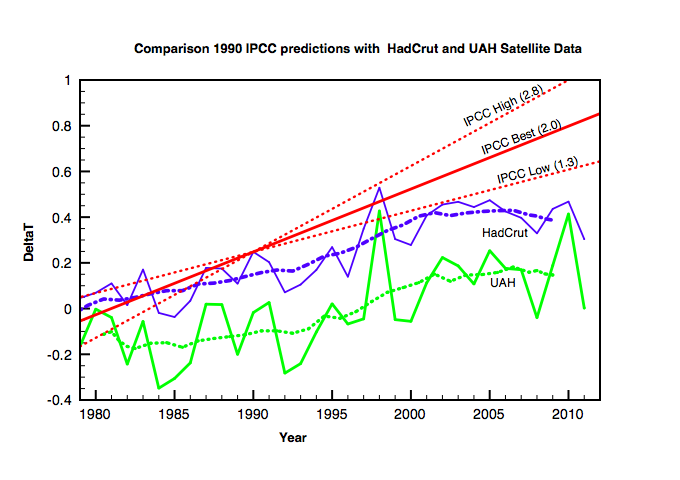 But … global temperatures have not increased at all during the past decade. The fudging of data by those who support AGW. This entry was posted in Science and tagged in Climate Change. « Australia – please note that J&K and Arunachal are parts of India!